OK. This is what we have been waiting for, people. It is time to put your money where your mouth is and support an independent business as it transitions from vegetarian to 100% vegan. A few months ago, I put word out that I would like to support any non-vegan restaurants in their quest to turn their menu completely plant-based. 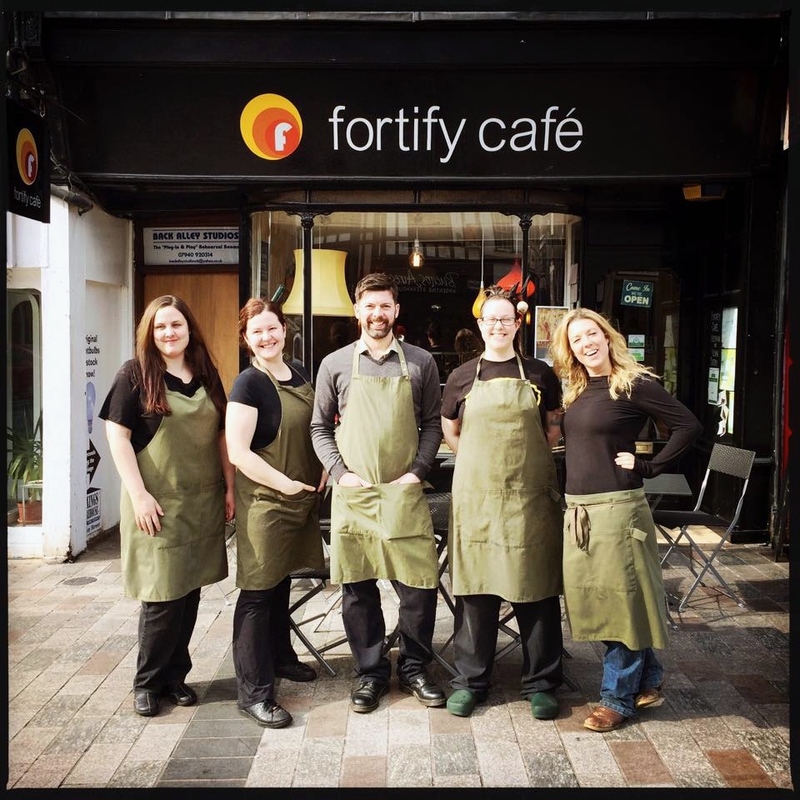 My Operation: Go Vegan Stay Vegan plan got a great response when announced and I’m thrilled to say it is now able to lend its support to Fortify Café of Maidstone, Kent. Following my original post, Fortify head honcho James Hooper got in touch to let me know his team had been contemplating making the vegan switch for a while. Their popular Kent eatery has always featured a focus on tasty, plant-based whole foods created from scratch in their kitchen but dairy was still a component of some of the food and drink. James and his team have stepped up to the plate in a big way. From April 3, 2015 you will not find any animal products on the Fortify Cafe menu. The UK is getting a new 100% vegan cafe in place of a vegetarian eatery. Going 100% vegan is the next logical step in our evolution. In 2009, we set out to prove that meat free food is interesting, full of flavour and nutritious. We now know we can do the same with vegan dining. 90% of our menu is already vegan and we’re busier than ever! Be thankful for people like James Hooper and the Fortify team. They are on the frontline, taking the risks to bring plant-based food to their local community. The very least we can do is support them in their endeavour. This is where you come in to the equation. Running a cafe is expensive. Bills need paying. Workers need wages. Fortify Café will be able to transition to a viable and thriving vegan business with our help. Join the Facebook pledge page. This is where you pledge to visit Fortify Café during its first four months as a vegan eatery (April 3, 2015 – August 1, 2015). Click here now to join the event. Use the ‘invite’ button on the Facebook pledge page to alert friends and family. Get them to pledge to visit Fortify or even arrange a group outing. Like Fortify on Facebook and follow them on Twitter. Send them messages of support. Share this blog post to friends, forums, activist groups and any online space possible. Use the social media sharing buttons at the bottom of the post to spread word online. Are you a member of a meetup or social group? Plan a group visit during the pledge period. Once you visit the newly-vegan Fortify Café, make sure you post your photos and experiences on the Facebook pledge page to inspire others to get along. This is our chance to stand together as a collective of compassionate people and ensure a cruelty-free business flourishes. Let’s do it! Operation: Go Vegan, Stay Vegan is in full effect. Was in Maidstone this morning – Next time, will visit. Brilliant news. Does this include no cow’s milk for beverages? That would take a lot of courage for an independent business. Where did James Hooper move his business to?